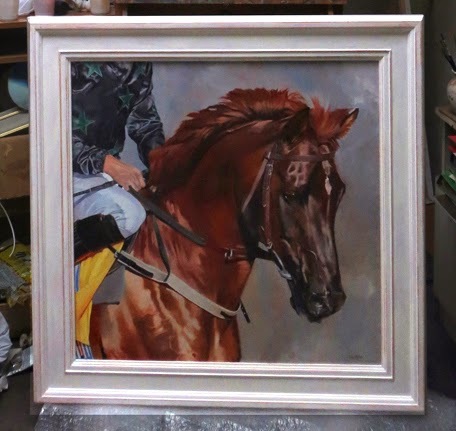 I don't know if it's just me but I've always found framing my work really difficult, especially when framing 'straight on' to an oil painting. Despite all those samples at the framers and many more examples in the framers catalogues, I'm still left feeling a bit disappointed that 'the one' doesn't shout out at me. Inevitably, it then becomes a bit of a compromise. There are framers out there I know, who do produce beautifully hand painted frames, but unless you're selling your work for many thousands, that's not economical. So for the past few years I've been painting my own frames, matching them to the individual paintings in order to (hopefully) create a more sympathetic and harmonious combination. I must stress, I am not a framer, so if you are, and you're cringing at my technique, I apologise in advance! Now you can buy wooden frames 'off-the-peg' at many of these 'factory shop' outlets and if you want to try painting your own frame then this is a cheap option. With two artists in the house we tend to use our local framer a lot and she makes up barefaced obeche frames for us that are reasonably priced and come in a nice range of mouldings, from the very plain to the very fancy. 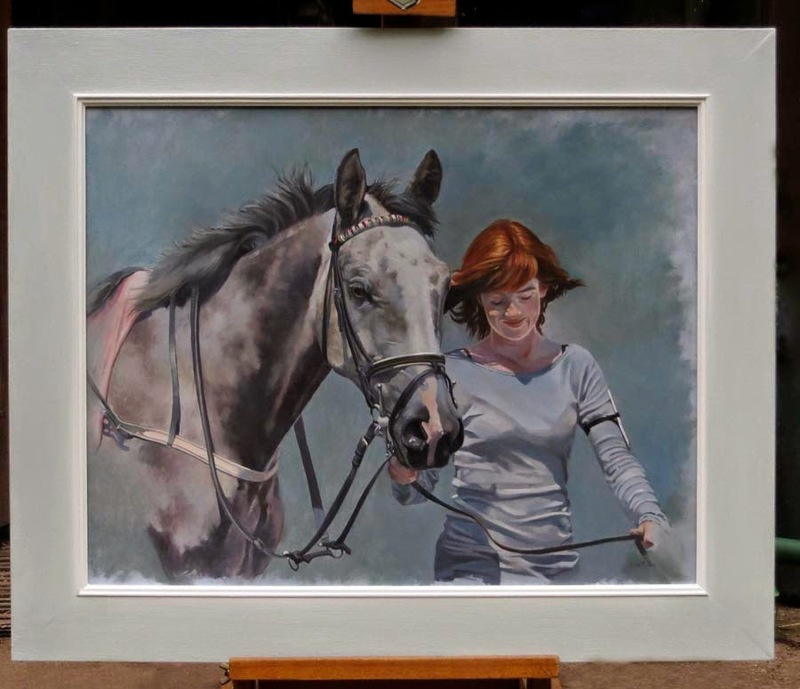 The frame I'm using for this demonstration is for my painting 'A Close Shave' which featured in this blog not long ago. The first thing you need to do, whether you've had a frame made up or bought one off the peg, is to fill any cracks or blemishes, either with a proprietary wood-filler or with gesso&bole, a clay/rabbit skin glue mix which I will be using later to paint the frame. I tend to use the gesso for any minor gaps and blemishes. It naturally separates out in the pot so the thicker clay part is ideal for this purpose. Anything larger and I've found wood-filler is better. Once I've done this I'll leave the filler to dry out thoroughly for a few hours, sometimes as long as a day if necessary. 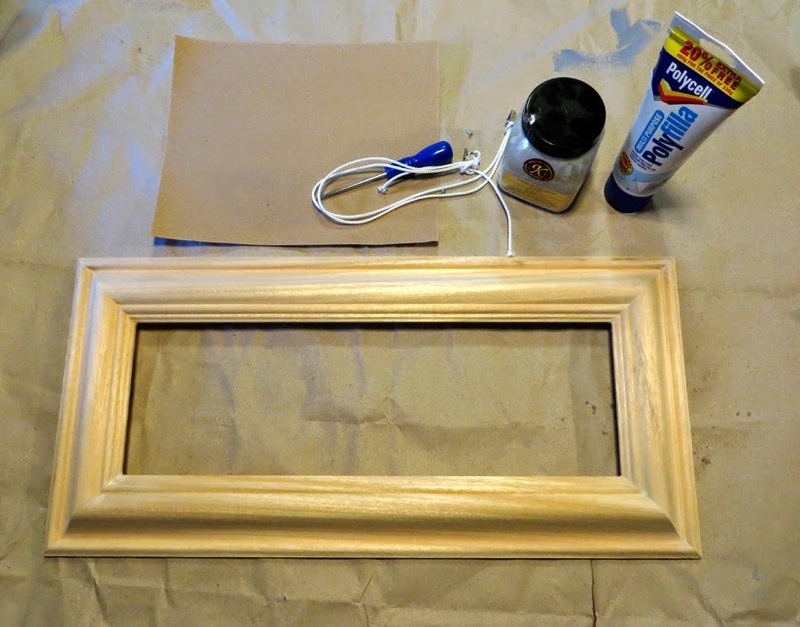 Once dry the whole frame needs a light sanding (I use F2 sandpaper), paying particular attention to those places you have filled, sanding down any lumps or bumps that the filler may have left behind. Check the corners as well and gently round them off if necessary if there are any gaps. Finally, take a soft brush and get rid of any debris left by the sandpaper. Now you're ready for the next stage. Gesso and bole features heavily in my frame painting. It is quite expensive, around £32 for a 500ml pot or £8 for a 100ml pot. Primarily used as a base for various gilding techniques I've also found it works well as a 'paint' in it's own right. You can buy it in a small range of colours though I tend to use white. The terracotta one featured I used to good effect for another frame that I will show you at the end of this post. The large pot will see you through several frames but if you're just experimenting on one for now, just buy the smaller pot to see how you get on with it. Raise your frame off the (covered) table surface so you can get at the sides. I use some 2x4cm short lengths of wood. Now mix your gesso base. I buy value packs of plastic cups and teaspoons for this from a well known supermarket! As I mentioned earlier the glue and clay tend to separate out so give the pot a thorough mix before putting a couple of heaped spoonfuls in a plastic cup. Add water to this, a little at a time, until you reach a lovely smooth, creamy consistency, stirring continually. Now to paint! I usually put on three coats, allowing a couple of hours between each layer using either a 1/2, 3/4 or 1inch Daler-Rowney System 3 short flat brush. Wash your brush thoroughly between coats with soap and water. 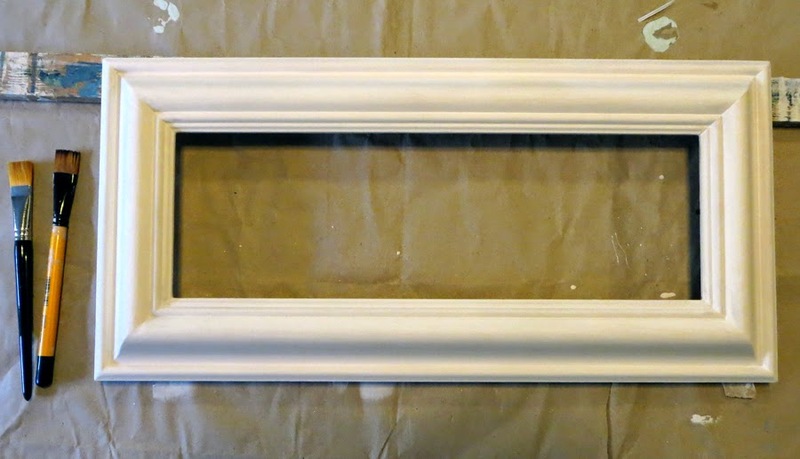 So here's the frame again with three coats of gesso&bole generously applied. Give it another gentle sanding to get rid of any inconsistencies left by the paint then brush away any dust and you're ready to add some colour. 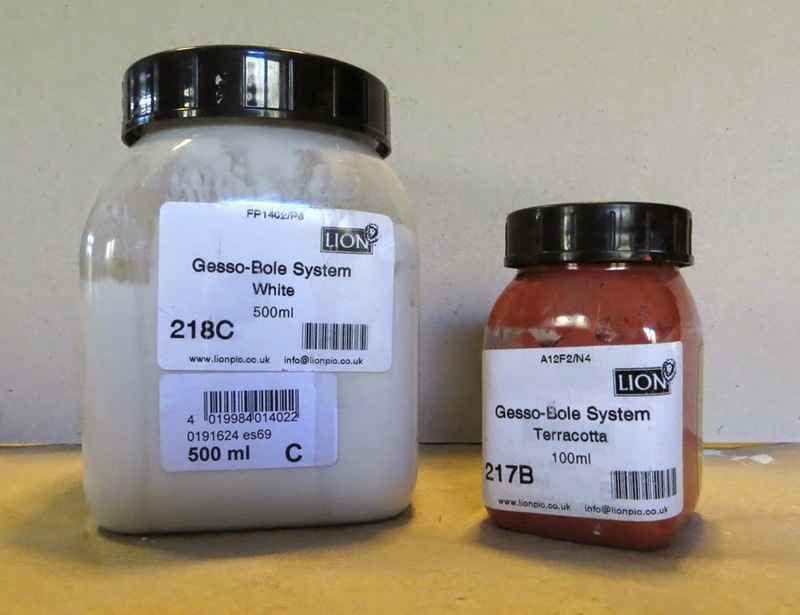 For the top coat I use a combination of gesso&bole, white acrylic gesso and acrylic paints. The gesso&bole has a lovely chalky texture and even mixed with acrylics, tends to retain that feature. You can use titanium white acrylic instead of the acrylic gesso but you can end up using quite a bit and as we always have lots in the studio it's a convenience rather than anything else. As this is the painting I will be framing I want to reflect some of these colours subtly in the frame. At the moment I'm thinking a pale inner and a slightly bluer surround. My ideas are always fluid at first as in-between coats I will test the painting in the frame to see if its working. In the end I mixed a slightly yellow-white for the inner and a blue-white for the surround, not that you can tell in the photograph! Dragging the square brush across each length often leaves the under-painting showing through, but I quite like that and tend to leave it, especially if there's little tonal difference between the bottom and top coats as here. 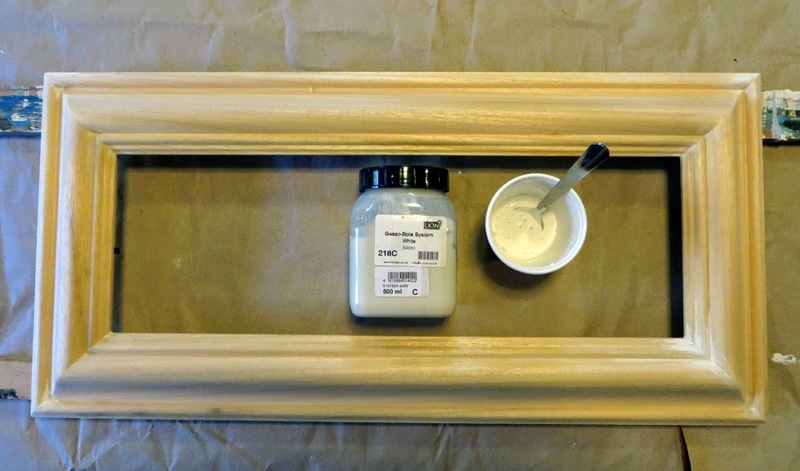 This frame has now had around three coats and will be left to dry thoroughly before waxing. 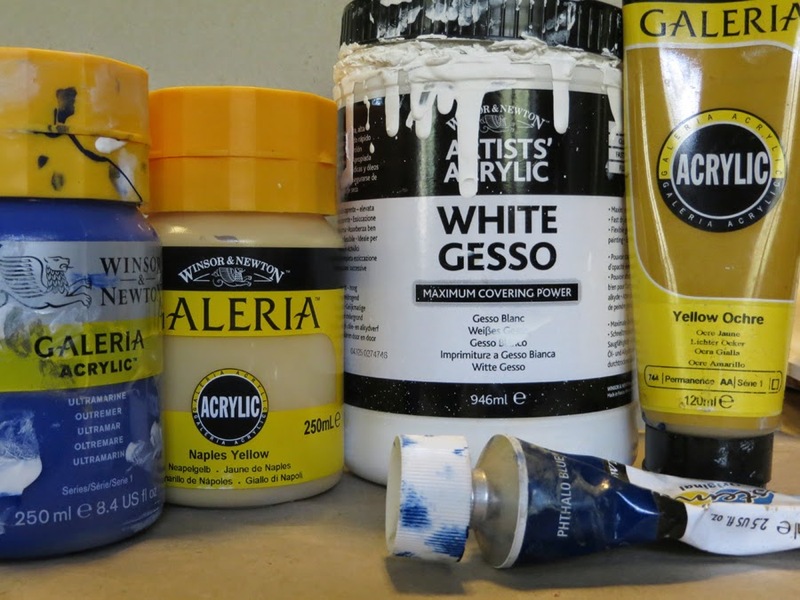 TIP: If you do have any gesso or paint left in your pots it will keep for weeks in the fridge. Pop some clingfilm or a plastic food bag over the top and secure with an elastic band. If it does thicken at all whilst it's in there just add a little water. 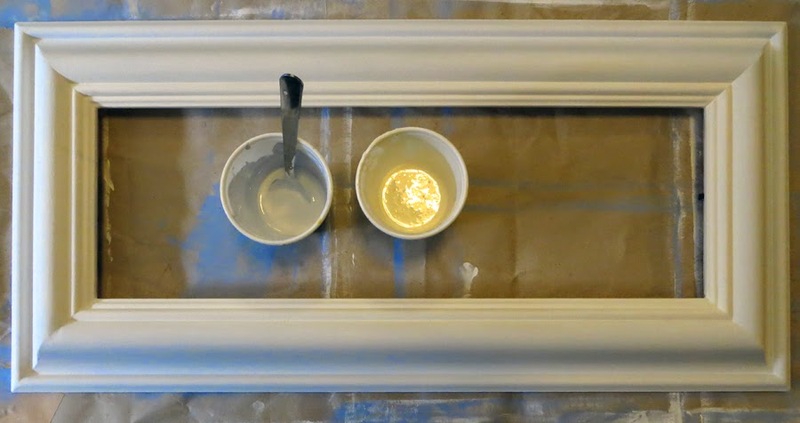 The last stage is to protect your painted frame with a waterproof wax. 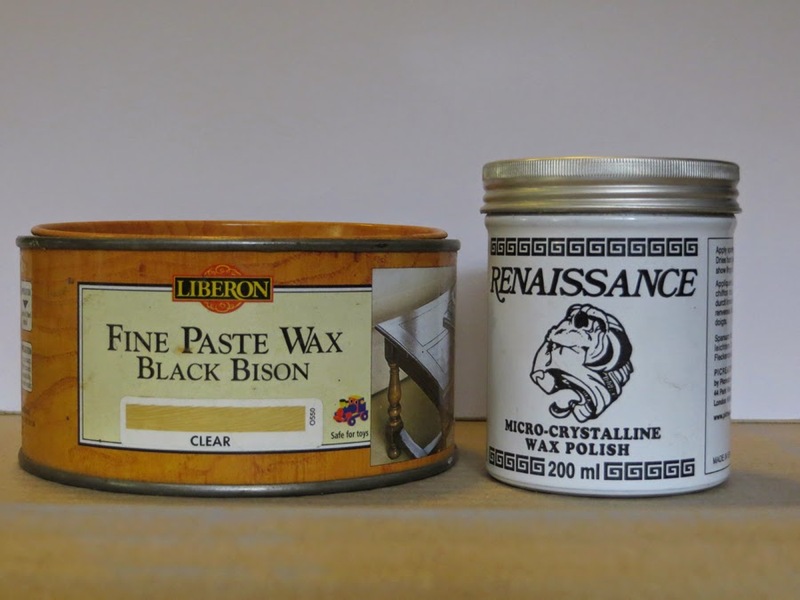 I used to use bison wax and though this is very good I sometimes found that despite it being listed as 'clear', it often left a yellowish residue if I wasn't careful. Lately I've been using Renaissance polish, which is clear and hard wearing. Whichever you use, apply with a lint free cloth, then a fresh one to buff. 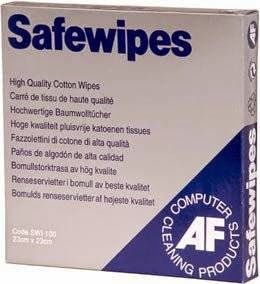 I buy Safewipes, which I think are marketed for cleaning computer screens, but they're obviously pretty versatile (!). 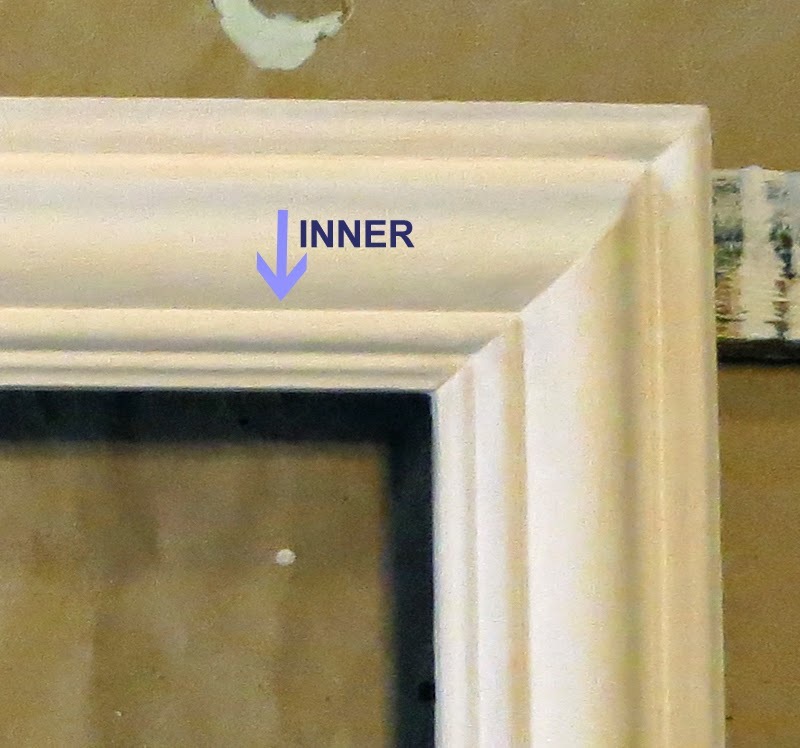 Once you've waxed and buffed you're ready to frame your painting. At this stage do not neglect the back of the frame. There's no point spending time and effort on painting if you don't pay attention to the back as well. Yes, I realise that it's never going to be seen once it's on the wall but a well finished back really does add to the overall quality of the frame. With this frame I under-painted with three layers of terracotta gesso&bole. On top of this I painted several layers of off white and gently sanded back when it was dry to reveal the red under-painting. A very plain-faced frame here, painted a pale blue-grey to pick up the colours in the painting, with a slightly pinky white inner. 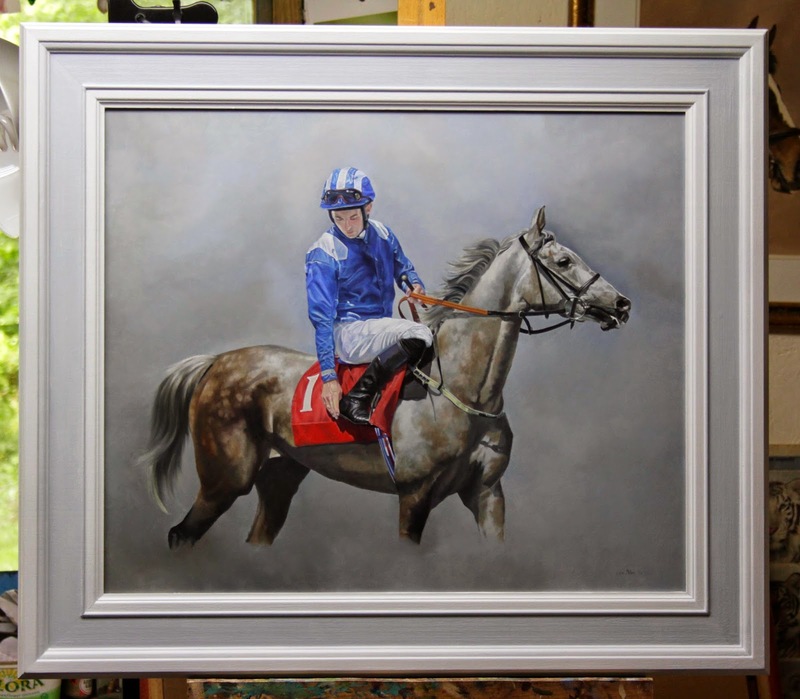 I hope you've enjoyed this post and if it does inspire you to paint your own then I wish you the very best of luck!